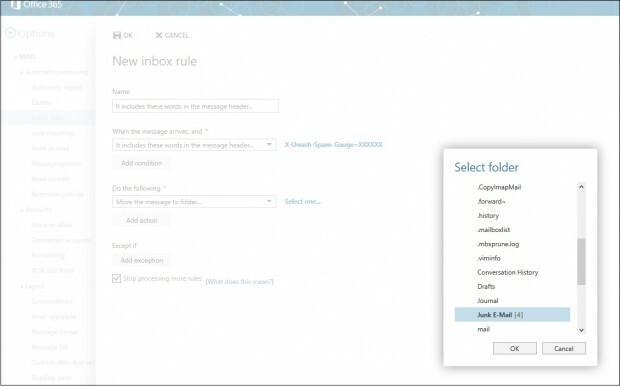 While viewing Mail, on the Home tab, in the Delete group, click Junk, and then click Junk E-mail Options. 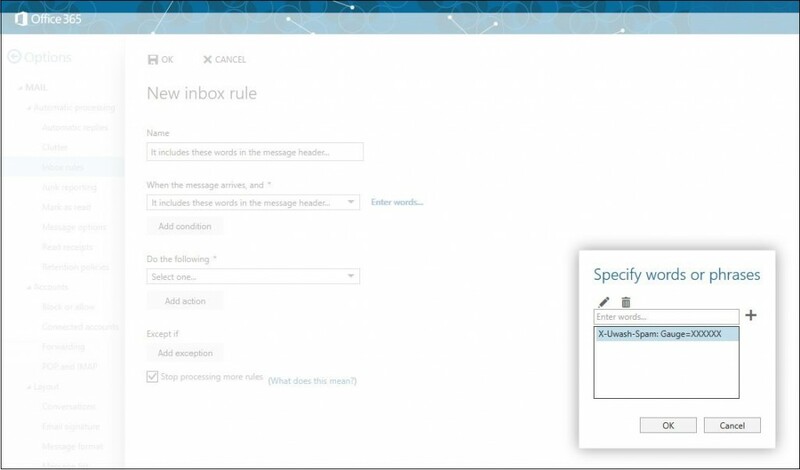 If you are not in Cached mode, Outlook displays a message that the Junk E-mail filter is not available. It is fine that it is not available, because you will not be using it, so click OK to continue. In the Options tab, select No Automatic Filtering. In the Safe Senders tab, make sure that the list is empty. In the Blocked Senders tab, make sure that the list is empty. In the International tab, click each button, click Clear All, and then click OK. In the upper-right corner of the screen, click the gear icon , and then towards the bottom of the gear menu click on “Mail” under My app settings. On the left side of the screen, Under MAIL > Accounts, click Block or allow. Select Don’t move email to my Junk Email folder. 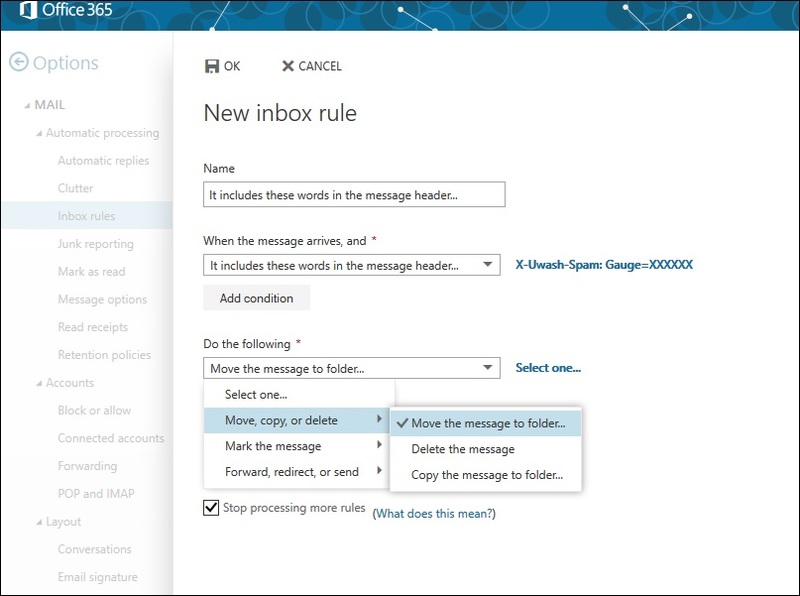 In OWA, on the left side of the screen, under MAIL > Automatic processing, click Inbox and sweep rules. In the New inbox rule dialog box, enter a name for this new rule, such as Spam Filtering. From the list under When the message arrives, and click It includes these words, and then click in the message header. into the Enter words box. Click the plus sign ( + ), and then click OK. In the new inbox rule dialog box, from the list under Do the following, click Move, copy or delete, then click Move the message to folder. 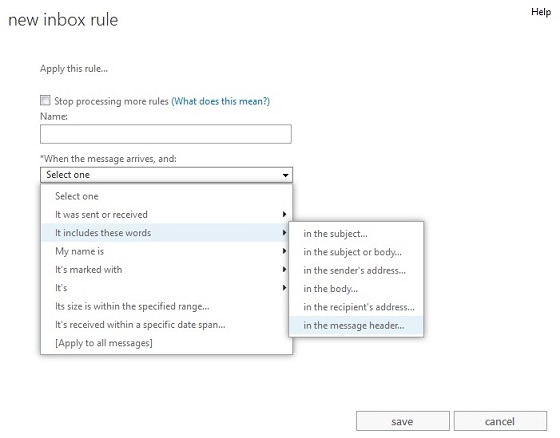 Then click Junk E-mail as the folder, and then click OK.
At the bottom of the New inbox rule page, make sure that the Stop processing more rules box is checked. The rule will apply a threshold of “60” for spam rejection, messages scoring 60 or more will be moved to Junk. To change the threshold, add or subtract X‘s from the string. The higher the threshold the less likely you are to move messages to Junk that you might really want, and, conversely, the more likely you are to see “junk” messages in your Inbox. No filter is perfect. Regularly check your Junk mail folder for legitimate mail. 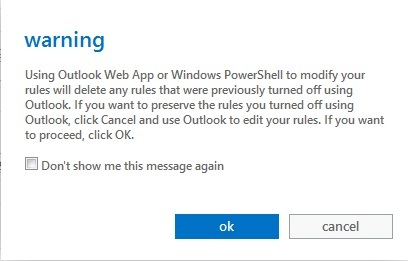 Do not right-click any message and select Junk or any of its options. 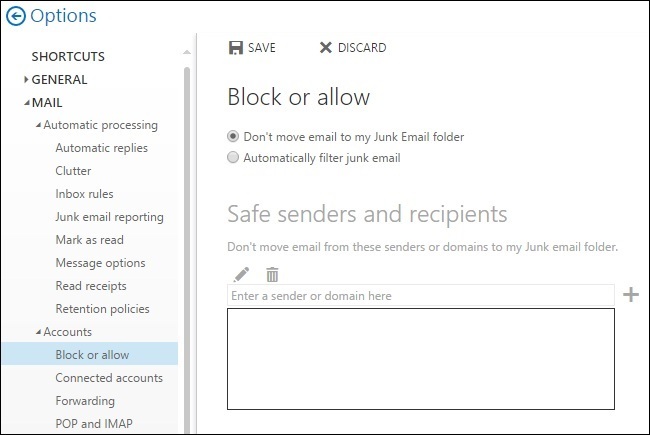 Doing so re-enables junk email filtering in Outlook.